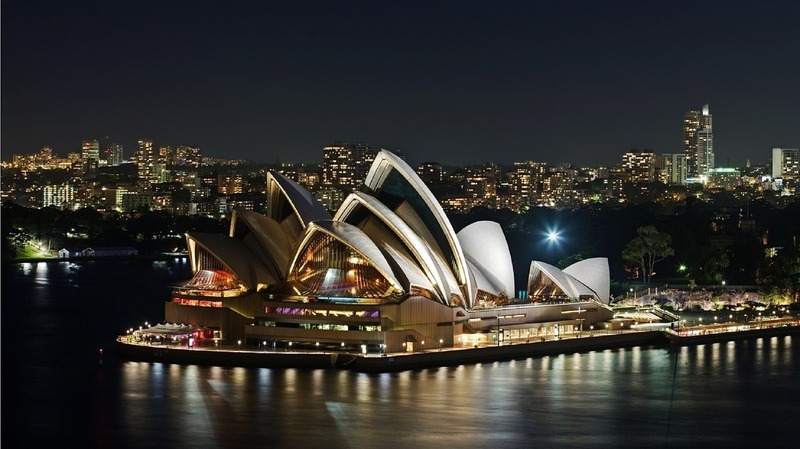 The Hamilton Capital Australian Financials Yield ETF (HFA) was launched in December 2018, with a targeted yield of 6.5% or higher paid monthly (aided by covered calls1Sub-advised by Horizons ETFs “The Options Guys”.). The Australian financials have a history of long-term outperformance versus the Canadian financials with lower volatility2Source: Hamilton Capital. In fact, the Australian banks outperformed the Canadian banks during the global financial crisis. One main reason Australian financials have consistently outperformed their Canadian counterparts is that Australia is among the world’s top performing developed economies (and has not had a recession in over 25 years). This strong performance is expected to continue, with Australia forecast to be the fastest growing (large) developed economy in 2019 at 2.7% (versus Canada at 1.9%)3Source: IMF/Bloomberg. Estimates as of January 31, 2019.. This implies a favourable economic backdrop for the Australian financial sector. There are arguably no two financial sectors in the world that more alike than those of Canada and Australia. However, there are two key differences. First, Australian financials largely eschew foreign expansion in favour of substantially higher dividend payout ratios and dividend yields. Second, Australian financials operate under a much stricter regulatory regime, including their banks which are required to operate at some of the highest capital levels in global banking (and ~40% higher than Canada). In fact, rising regulatory risk was one of the main reasons 2018 was a difficult year for the Australian financial sector (the index declined 9.7%, versus a 9.3% decline for the Canadian financials and a 15.9% decline in the global financials)4Index performance shown in base currency. In December 2017, after a series of high profile headlines regarding bank compensation, conduct and sales practices, the Liberal-National Coalition (“Coalition”) government established the Royal Commission into Misconduct in the Banking, Superannuation and Financial Services Industry (“Royal Commission” or “Commission”). Since the Royal Commission was announced, forward price-to-earnings (“P/E”) multiples for Australian financials (and banks) have declined by ~1.9x5Source: Bloomberg. 12-month blended forward P/E, as measured for the S&P/ASX 200 Bank and Financial Services indices from December 14, 2017 through January 31, 2019., as the market priced in the potential for negative recommendations impacting either the sector (higher expenses/lower revenues) or the economy (reducing credit availability). On Monday, the Royal Commission’s final report was released to the public (an interim report was released on September 28, 2018). The report focused on policy and included a wide array of recommendations relating to the sale of financial and wealth management products, compensation (including payment for advice), and mortgage lending/broking. It also recommended the establishment of a new oversight authority of the regulators. Broadly speaking, the report appears to be mostly in line (if not somewhat better in places) with market expectations. In our view, the most important positive of the Commission report was that its 76 recommendations did not include any new regulations that are likely to materially increase expenses and/or reduce revenue/loan growth, particularly for the banks. Crucially we do not believe any of the recommendations would reduce the flow of credit and/or weigh on overall economic growth for Australia. Instead, we believe the Commission’s report is positive for the Australian financials, as it provides significant regulatory clarity. Moreover, given the ruling Coalition and opposition Labor parties both agreed to take action on all recommendations, we think the risk that the report and/or sector become issues in the upcoming spring national elections is reduced. The Hamilton Capital Australian Financials Yield ETF (HFA) has a 6.5%+ targeted yield paid monthly and provides investors with exposure to one of the worlds’ strongest financial sectors operating in one of the most successful developed economies. In our view, the release of the Royal Commission report on Monday lifts the cloud of regulatory uncertainty that has weighed on the sector for over a year. With the Royal Commission findings finally released, we believe the highly material P/E discounts will begin to gradually decline and the market can return its emphasis to fundamental valuations. Note: Comments, charts and opinions offered in this commentary are produced by Hamilton Capital and are for information purposes only. They should not be considered as advice to purchase or to sell mentioned securities. Any information offered is believed to be accurate, but is not guaranteed.